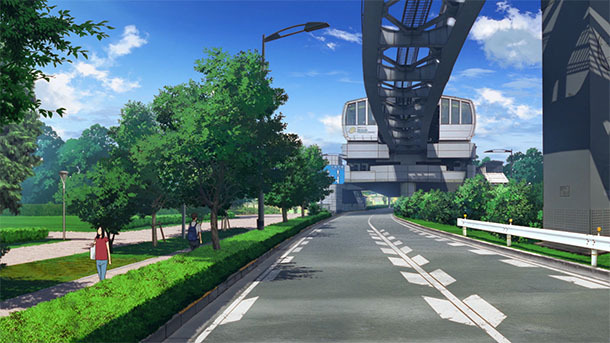 News Post Seven published an article about marketing opportunities for local railways precipitated by anime tourism, discussing the cases of Kashima Rinkai Railway in Ōarai, Ibaraki Prefecture (Girls und Panzer) and Izuhakone Railway in Mishima and Izu, Shizuoka Prefecture (Love Live! Sunshine!!). Hōnichi Lab published an article about anime pilgrimage location popular among inbound tourists. The Iwami Tourism Association in Iwami, Tottori Prefecture and Free! will launch a formal marketing collaboration to run from 2019 February 1 to November 30. The campaign will include a location map, character panels and limited edition goods. It’s an interesting choice to brand the campaign with the third season subtitle Dive to the Future, as Iwami locations factored only minimally in that installment. @flyingbird1124 made a pilgrimage to Shibuya, Shinjuku, Iidabashi and Kagurazaka (all Tokyo inner wards) for Mahō Shōjo Tokushusen Asuka Episode 1 and Episode 2. @flyingbird1124 made a pilgrimage to Shibuya, Ebisu, Roppongi, Omotesandō, Yoyogi, Jingūmae and Takadanobaba (all Tokyo inner wards) for Domestic na Kanojo OP and Episode 1. @mikehattsu made a pilgrimage (post 1, post 2, post 3) to Nagoya, Aichi Prefecture for Love Live! Sunshine!! @mikehattsu made a pilgrimage (post 1, post 2) to Nagoya, Aichi Prefecture for Hibike! Euphonium.